Can you be sure that your ship will always get “Nil” deficiency for each of the port state inspections done during your tenure? If Yes, then this post is not for you. That is because if there are no PSC deficiencies, there is nothing to handle. But I know and you know, that no one can be so sure about deficiencies during port state control inspections. Even if you work on the best ship in the world or with the best company in the world, you still can’t be sure of zero deficiencies during port state control. If not anything else, you may get a PSC deficiency to which you may not agree to. But that is not the question here. 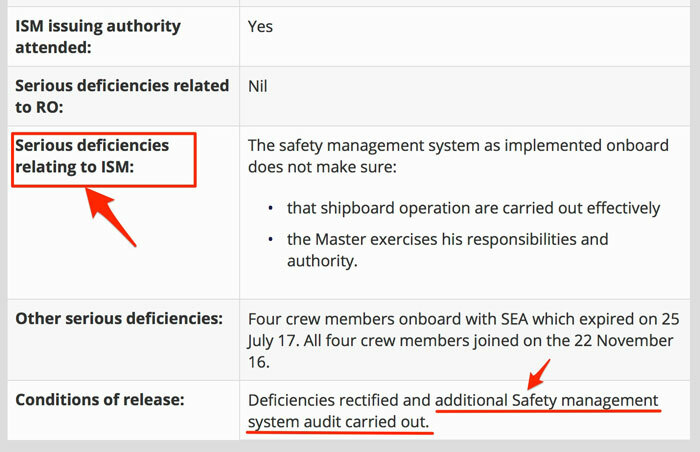 Question is, what action should the ship staff (particularly Master) take to avoid any delays to the vessel once a PSC deficiency has been identified. After the port state inspection is completed, a report of the inspection is provided to the master of the ship. At the least master must check these three things before signing. If the vessel is detained because of the identified deficiencies. While the information in the PSC inspection report of different MOUs will contain the same information, their format could be different. Like here is the format for PSC report of Indian ocean MOU. And here is the format for PSC report of Paris MOU. Irrespective of the format of the inspection report, the master must locate and check these three pieces of information in the report for its correctness. 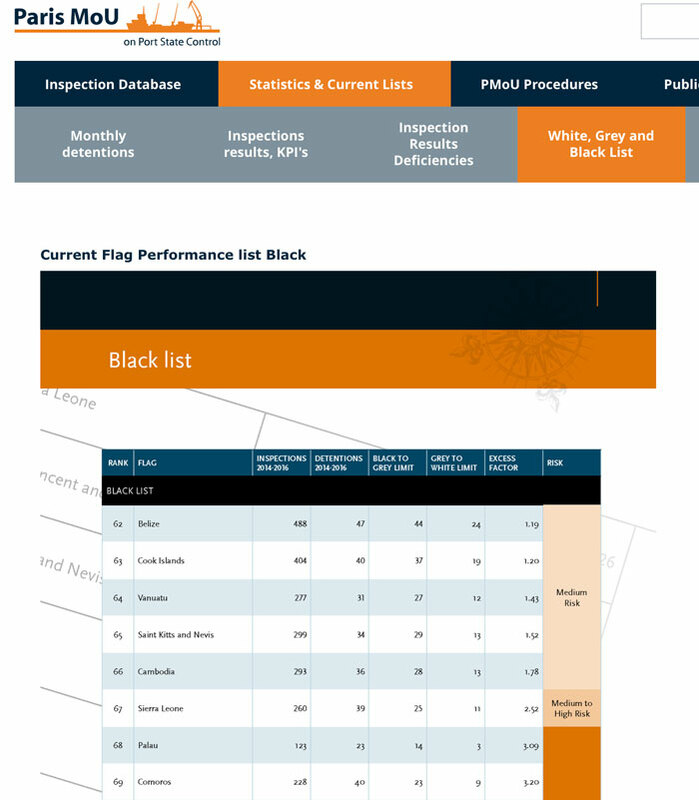 What can be more satisfying than completing a PSC inspection with NIL deficiencies? 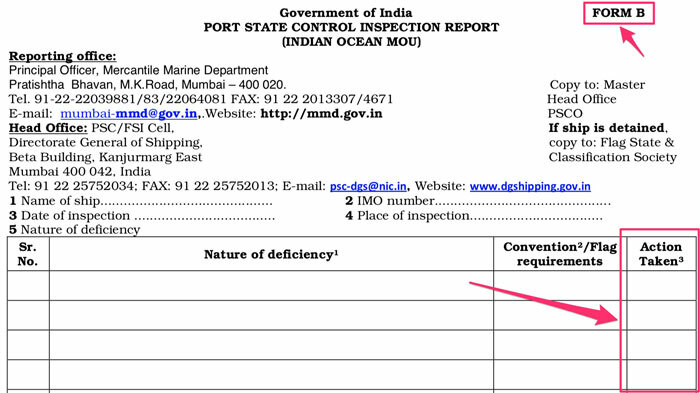 After a PSC inspection with NIL deficiency, master needs to file the report as per the filing system of the company. Master may also be required to save a scanned copy of the inspection report in the electronic PMS of the ship. If the company has subscribed to the Q88, it is prudent for the master to update the Q88 database with the latest PSC inspection date. Even when the inspection has resulted in no deficiencies, the master must inform the shore office about the PSC inspection. Other than that, there are no other actions that are required for the PSC inspection. If the PSC inspection results in noting some deficiencies, “yes” would be ticked in Form A of the PSC report. All the identified deficiencies will then be described in Form B of the PSC report which will be attached to the “Form A”. Action code is provided against each noted deficiency in form B of the PSC inspection report. There will be one or more of these action codes for each of the deficiencies. I always believe that finding the defect is difficult than rectifying it. So once a deficiency has been identified, it should not be difficult to rectify it. But the question is who needs to endorse the rectification of the identified deficiency? Can the statement from the master that “the deficiency has been rectified” be enough? Do the PSC inspector need to re-visit the vessel to confirm the rectification? Or is it the class that needs to verify the rectification of deficiency? For example, for most of the deficiencies USCG requires classification societies to verify that the deficiency has been rectified. I have experienced in Russian ports that PSC inspector make a revisit to verify the closing of the deficiency. And finally, in most of the Chinese ports, the statement from the master is considered enough for closing most of the deficiencies. 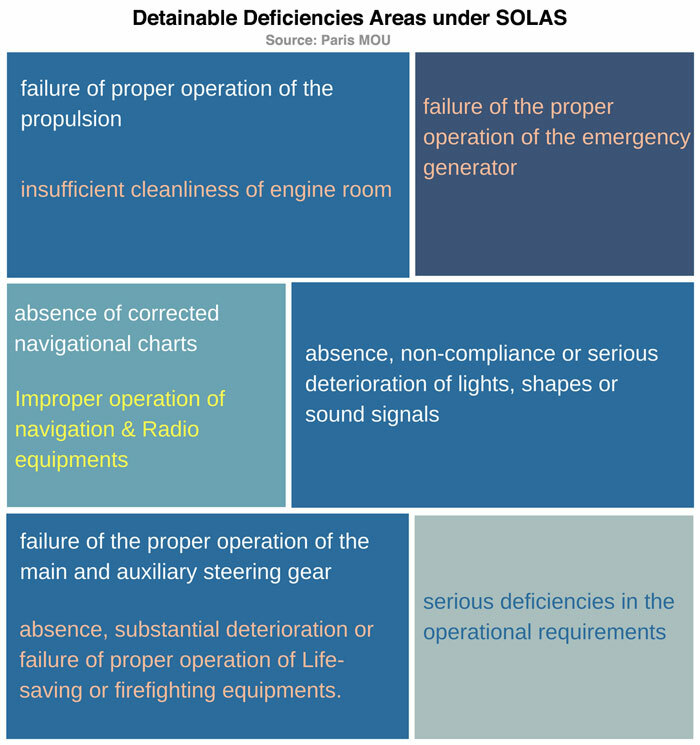 Well as a general rule, all deficiencies related to the machinery and structure of the ship need to be closed by the classification society of the vessel. In this case, classification society would issue “condition of class” to the vessel and close it after the defect has been rectified. As different port state control could have different ways to close out the deficiencies, it is prudent for the master to clarify this with the PSC inspector. The procedures of most of the companies require that any PSC deficiency must be treated as a non-conformity. Company’s procedures to deal with a non-conformity must be followed to deal with the PSC deficiency. The procedure to close out the PSC deficiency will be same as close out of any non-conformity as per SMS manuals. On tankers treating PSC observation as non-conformity is a requirement as per SIRE. Code 17 deficiencies are the most common deficiencies during PSC inspections. All the deficiencies with code 17 must be rectified before departure. And the most common area of doubt is if the PSC need to re-visit to verify that the code 17 deficiency has been rectified? PSC at some port may require to re-visit for verification and at other ports, it may not be necessary. Master of the vessel must clarify with the PSC inspector if the re-verification is required or not. If re-verification is required, the master must inform the PSC through the agent after the deficiency has been rectified. After the re-verification master must ensure that all code 17 deficiencies have been marked with code 10 which means that deficiency has been rectified. 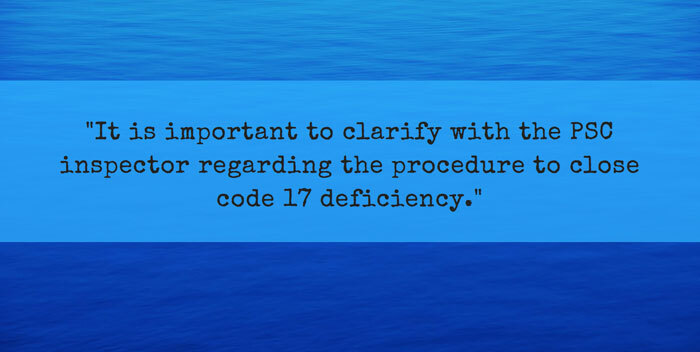 Irrespective of if PSC requires the re-verification of closeout or not, it is important that any code 17 deficiency is rectified before vessel departs the port. 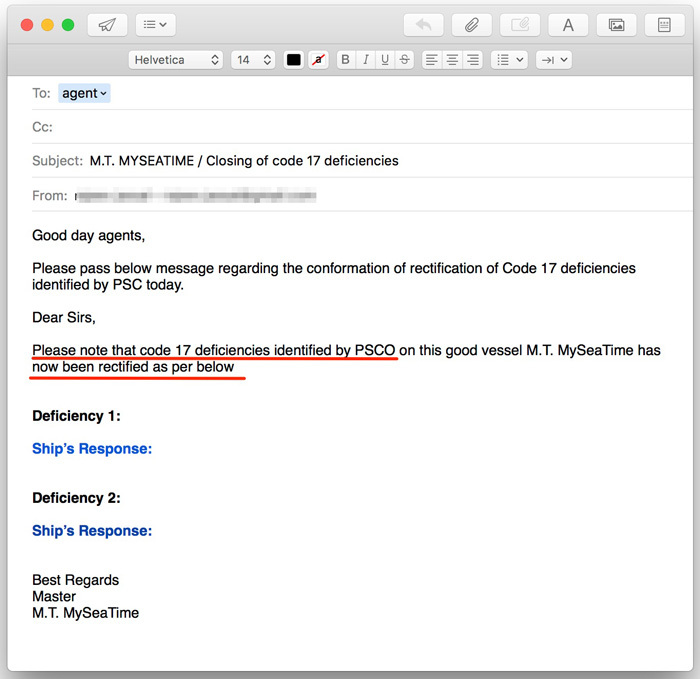 A vessel that departs the port without rectifying the code 17 deficiency is considered to be an unseaworthy ship. Taking an unseaworthy ship to the sea can have serious repercussion for the master of the ship. If the PSC does not require the re-inspection of the close out of the deficiencies, it is a good idea to send an email to the port state through agent informing that the deficiencies have been rectified. The email could be something like this. Code 17 deficiencies require quick action. The deficiencies need to be closed before departure from the port. But that is not the case with other deficiencies such as code 15 (to be rectified before departure from next port) or code 18 (to be rectified within 3 months). While the time period for getting the deficiency rectified is different in each of these deficiencies, the process is same. For example, for code 15 deficiency master must send the confirmation of close out of deficiency before departure from next port. Or if it is required for the PSC inspector to verify the close out of deficiency, his presence must be requested through the agent in ample time. Detainable deficiencies are serious and hence the process of close out of detainable deficiencies is also different from that for other deficiencies. The usual confusion is what makes a code 17 deficiency a detainable deficiency. For example, is “Sart not working” a code 17 deficiency or a detainable deficiency? Well, the line that separates the code 17 deficiency from a detainable deficiency is thin but not too difficult for the port state officer to identify. The procedure to use to identify a detainable deficiency is provided to the port state officers in PSC handbook of the MOU. 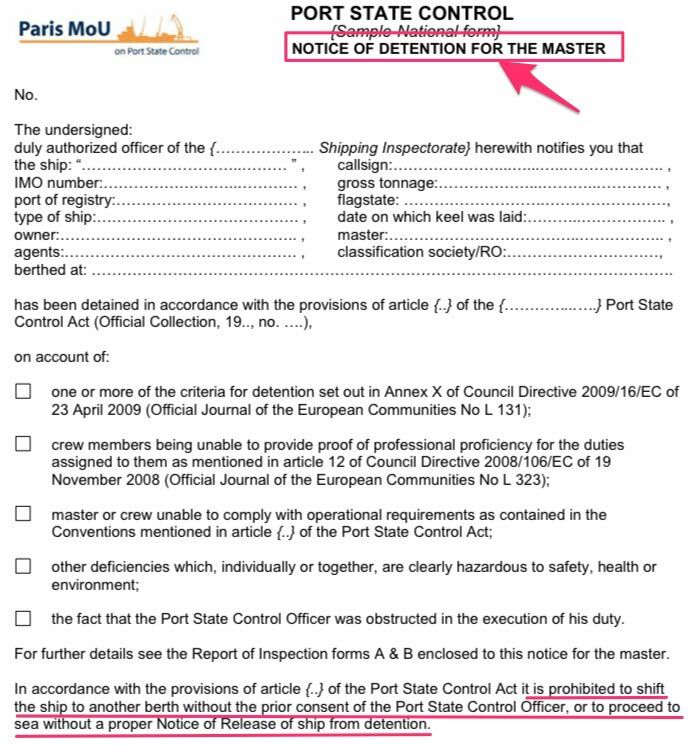 For example, for Paris MOU, below is the main criteria for PSCO to decide for the detention of the ship. the ship will be detained if the deficiencies on a ship are sufficiently serious to merit a PSCO returning to the ship to be satisfied that they have been rectified before the ship sails. Paris MOU handbook for PSC inspectors further gives the deficiency areas that can be considered to be the ground for detention. 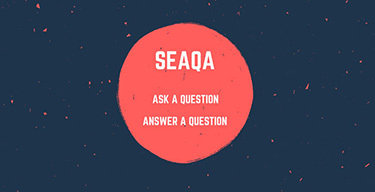 For example, following are the deficiencies under SOLAS that can be considered to be the ground for detention. These are just the guidelines. A deficiency in any of these areas does not mean that the ship will be detained. For example, let us consider this criterion. Does this mean that vessel will be detained if one navigational light is found not working? But what if none of the lights are working. Then there is something serious about the deficiency and in most certainity, the vessel will be detained. If the PSCO decides to detain the ship, they will issue the notice of detention to the master. The PSCO will also send the notice of detention to the flag of the vessel and to the classification society of the vessel. Most of the flag state require the masters/company to notify them in case the vessel is detained by any port state control. 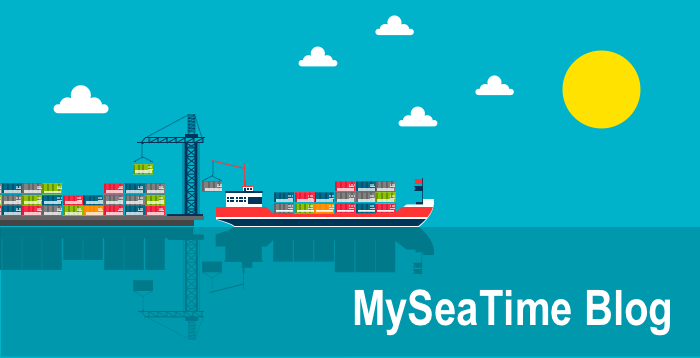 Master need to confirm with the company if flag state needs to be informed by the vessel. If Master/company consider that vessel has been unreasonably detained, the company can send the appeal notice to the PSC. Different PSCs would have different appeal procedures which can be either found on their website or can be received through the port agent. Contrary to common belief, it is not too uncommon for the flag or shipowner to appeal against the detention of the vessel. If the vessel is detained, it affects ship operation as no one wants to hire a ship that has recently been detained by port state control. Even if the ship gets a hire, it will be on low freight rate as the shipper would have the bargaining power because of recent detention of the vessel. Apart from that company’s brand image gets a beating. The database of the very low performing ships and companies is publically posted on the website of most of the PSC MOUs. 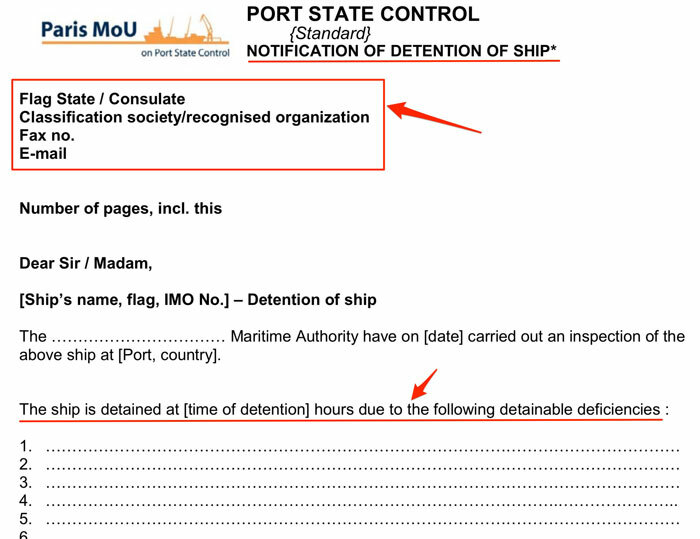 And finally, detention of a ship contributes towards grey or blacklisting of the flag. So when so much is at stake, if the master, company or flag believe that the vessel has been unreasonably detained, it is always worth to initiate the appeal procedures. The appeal does not necessarily be for not agreeing to the deficiency. The appeal can also be made if the owners or flag is of the opinion that the deficiency should have been the code 17 deficiency and not the detainable deficiency. For example here is the case where the flag state disagreed with the detention of the vessel. Once the notifications have been done, it is time to work on closing the detention deficiencies as soon as possible to keep the delays to the minimum. And the first thing we have to do is to understand the deficiency correctly. We cannot afford to misunderstand the deficiency and put our efforts towards areas which would not be required to close out the deficiency. 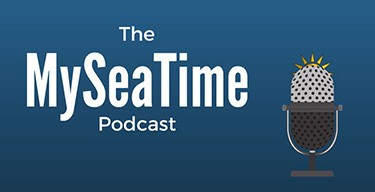 For example, if the deficiency is related to MARPOL, we need to know if the deficiency is related to a defective equipment or an observation related to the certification or documentation. PSC deficiency codes help in that. Let us say that deficiency is related to the enhanced survey programme and PSC has provided the deficiency code as 01315. As we can see that code 013 is related to the certificates and documentation only. So our efforts need to be only towards getting the missing document or getting any pointed error corrected by flag state or classification society as applicable. Another thing that we need to keep in mind is about ISM & ISPS related detention deficiencies. Detentions because of ISM & ISPS related deficiencies are closed only after external ISM & ISPS audits. Again these can be identified by the deficiency codes. Let me clarify the detainable deficiencies related to ISM with an example. It is sometimes wrongly assumed that ISM related deficiency would mean deficiency related to the paperwork or documentation. Let us take an example of a deficiency related to in-operational fire detectors in accommodation. One fire detector not working will be a code 17 deficiency. The deficiency will be under code 07106 and this needs to be corrected before departure. Two or more fire detectors not working can be a detainable deficiency as per the professional judgment of the port state inspector. The deficiency will again be under code 07106. As the vessel will be detained, the PSCO will board the vessel to verify that the fire detectors have been rectified. Once the PSCO is satisfied, the detention order will be lifted and the ship will be allowed to sail. Now let us consider this final situation where say, 10 or more fire detectors are found not working. Needless to say that this will be a detainable deficiency under deficiency code 07106. 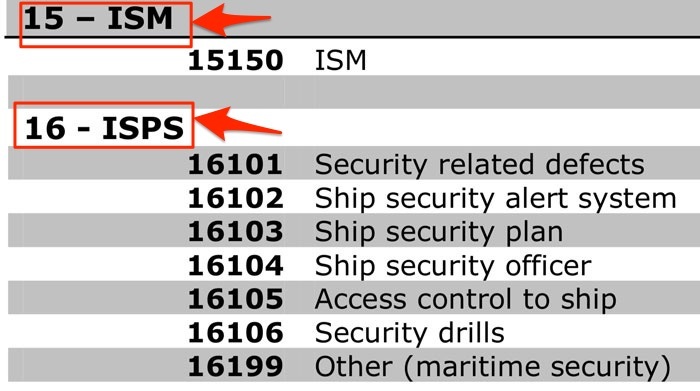 But this also gives an impression to the port state inspector that the ISM code is not effectively implemented on board. Because had it been effective, the defective fire detectors would have been identified during last weekly tests. So many defective fire detectors point to the fact that the weekly routines are not being carried as required by the SMS. The ISM code is not effectively implemented as apparently no weekly checks on the fire detectors are being carried out. So one observation could lead to two detainable deficiencies. And as I earlier mentioned, non-ISM related deficiencies need to be closed by rectifying the noted observation or defect. But, the ISM-related deficiencies would only be closed after a successful external ISM audit which will be done by the flag or by classification society on behalf of the flag. Over the years the port stay of the ships have reduced drastically which gives lesser time to the ship staff to deal with PSC deficiencies identified during PSC inspections. But if we know exactly how to deal with the PSC deficiencies, we can save a lot of time and possible delays in close out of the deficiencies. Thank you sir, very useful and informative. Dear Capt. R. Jassal, Thanks for your clearly explanations of some words of the confusion in Colreg72. I am fully respect of you observation and intelligence. Just coming 3rd june 18 , my mate oral examination in Myanmar. I hope well explains about the colreg 72 for my examiners. Thanks and best regard Kindly sent me some of oral exam Q&A for mate/master combind course. VERY GOOD KNOWLEDGE FOR NEWLY PROMOTED MASTERS. good day sir. we are here at algeria and the PSC officer attened our vessel. hegave a deficiency to the vessel for the unmanned gangway. but it is really not unmanned. the port security here is level two. my question is, is it really a detainable such offence? but the captain have their arrangement between the psc officer and the master. after the psc officer went off the master told us that he pay 500usd to clear the defiency. and the master the bounty he pay will deducted to our lashing and unlashing bonus. my 2nd quesrion is, is it fair to deducted to us such payment? i read my contract, mlc, sms and the charterers instruction and i undersrand there no such thing that the crew will pay for that kind of payment. anythoughts sir? if you may allow i can gave you a copy of my written statement of facts. very useful blog for our executive. 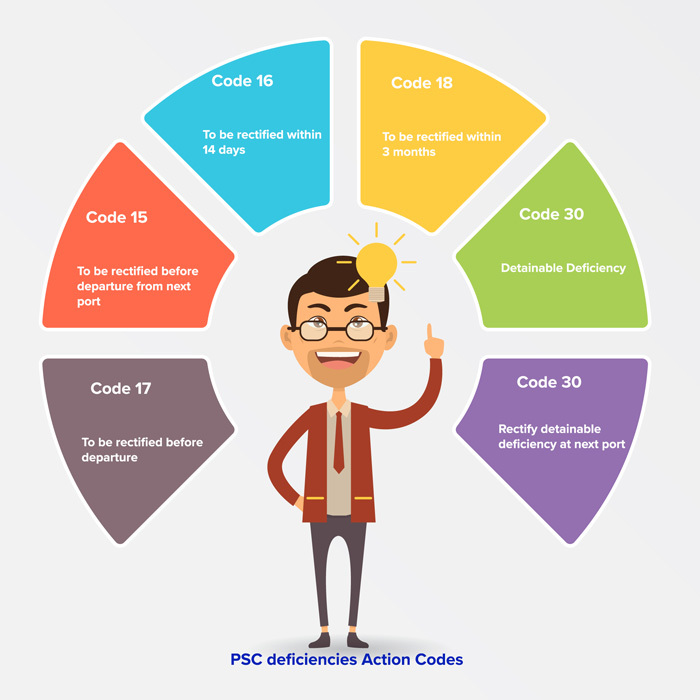 Rajeev , very informative yet simple explanation of the various codes of the PSC codes . However , one pertinent thing is , whether psc inspections can be contested ? In any court , and if so whether the same would be covered by P&I , or other insurance ?